Dr. Ernest Martin is a world recognized authority concerning the date of Christ’s birth. Beginning with publication of his 1976 article in Christianity Today, “The Celestial Pageantry Dating Christ’s Birth,” Martin has gained attention until he is now perhaps the leading authority in astronomical dating of Christ’s birth. Over 600 planetariums world-wide have revised their Christmas programs to correspond with dating theories and data he has advanced. His book, “The Star that Astonished the World,” is considered the authoritative work on the date of Christ’s birth based upon astronomical events. In this article, we refute key portions of Martin’s book. 1) May-Aug. 3 BC - A series of conjunctions between the planets Venus and Mars, Venus and Saturn, and Venus and Jupiter, the latter as a pre-dawn morning star configuration. 3) June 17, 2 BC – The conjunction of Jupiter and Venus as a “double star” in the constellation of Leo at the time of the full moon. Martin maintains that these celestial events would have been interpreted by astrologers and astronomers of the first century as indications of great world events, including the dawn of a new age and the birth of a new king. Martin urges that these celestial events drew the Magi to Jerusalem to do homage to the Christ-child. Martin is wrong. These quotes are taken solely from Chapter One, but are typical of the sort of claims that fill much of the book. Martin’s statement how the Romans interpreted these manifestations is particularly egregious, for it is a statement of fact without a single source for support. Martin has simply made it up! We do not deny that there were astrologers in the first century, or that they would have made all sorts of claims based upon what they saw. Indeed, they might even have made the sort of the interpretations Martin claims. But, given the supposed unique and astonishing nature of the celestial display, one would expect Martin to be able to produce at least one quote from a contemporary source that these events actually occurred and created astonishment in people then living. Indeed, Martin’s build-up about how “big” these events were and how they would have been received by people then living causes us to anticipate proof from period sources. When none is forthcoming, we are forced to ask why? Surely a celestial display that would have made “front-page news in most regions of the world” would have been recorded somewhere. Yet, Martin fails to produce even one piece of evidence in corroboration of his claims. Thus, astrologers “could have” this, or “could have” that. But the question is “did they?” We know Martin’s suppositions, but where is his proof? We feel the silence of history confirming the alleged celestial display and the great significance people then living purportedly would have attached to it presents a serious obstacle to Martin’s theory. To our mind, the total lack of evidence removes his book from the genre of serious academic work, and places it instead in the realm of the sensational and speculative. Bear in mind also that the ability of modern researchers to predict how the night skies may have looked 2000 years ago is based upon the fact that the stars and planets move in fixed patterns, so that the alleged phenomena would repeat themselves every several hundred years. Thus, if these celestial displays are all that Martin claims, we would expect someone, somewhere, sometime to have written about them. But Martin never quotes a single source either before nor since the birth of Christ reporting this display or interpreting it as Martin claims people in 3/2 BC did. Normal academic standards require at least a modicum of proof. Martin provides none. He seems to rely on the fact that observatories and planetariums changed their Christmas sky shows as validation of his theories, but these institutions need to sell tickets and therefore follow popular trends. The fact observatories are putting on shows today does not prove what happened 2000 years ago. A short while ago and they were playing a very different show based upon an entirely different set of supposed facts. Why should we credit the today’s theory more than yesterdays? Here Martin admits we should look in contemporary sources for proof these events, but offers only the New Testament. Not that the New Testament is unreliable, not by any means; we accept its every word explicitly, without reservation. Yet, it is the New Testament account Martin is ultimately attempting to elucidate and prove. The New Testament cannot be offered in evidence of itself. Before we can judge if the Magi witnessed these events and received them in the terms Martin suggests, we need proof that others saw the phenomena and how they received them. After all, this is how Martin frames his case. This “star” allegedly astonished the world. Yet, Martin has not proved that the conjunctions actually occurred or, if they did, that they were viewed by the Magi, or anybody else for that matter, or how they were received if they were. Supposition is no substitute for evidence. Martin has not made his case. Martin is guilty of “special pleading” in arguing his case. He repeatedly ignores facts that do not fit his hypothesis, and holds out others that do as if they were beyond dispute. For example, Martin insists that the Magi saw the star “at its rising” in the east and that this is the only “correct” meaning and translation of the Biblical text. Yet, almost all Bibles render en th anatolh “in the east.” as the most literal translation of the Greek. Matthew says there came “wise men from the east (apo anatolwn), saying, where is he that is born King of the Jews, for we have seen his star in the east (en th anatolh) and are come to worship him” (Matt. 2:1, 2). The obvious meaning is that the Magi saw the star while they themselves were in the east and so made their pilgrimage to Jerusalem in search of the Christ-child. Certainly, this is the meaning decided upon by the vast majority of translators. However, Martin insists throughout his book that “at its rising” is the correct translation, but this is only because it is useful to his theory. The word “its” does not occur in the Greek, but must be supplied to obtain Martin’s translation. It is true that the word anatolh means “rising,” but this is the word the Greeks used for the east. Their word “west” (dusmh) means “sunset,” but this does not mean when a thing is seen in the west it is viewed at its “setting.” This sort of selective presentation of facts discredits Martin’s scholarship. Why, if his theory is sound, does Martin find the need to resort to unusual translations, and distortions of the facts and text? Another more serious example is his treatment of Jesus’ location when the Magi arrived. According to Martin, the Magi arrived in Jerusalem the week of December 25th, 2 BC, during celebration of Hanukah (i.e., the feast of dedication, Jn. 10:22). He is at pains to show that the star appeared to “stand over” where the child was (Matt. 2:9), which Martin affirms was Bethlehem. According to Martin, Jesus was born Sept. 11th. Thus, according to Martin the holy family remained in Bethlehem for fifteen months and was still there when the Magi arrived. Yet, Luke plainly states that after presenting the child in Jerusalem and performing all things required by the law, the holy family returned to Nazareth (Lk. 2:39). Moreover, Luke is even more explicit than this, he states that they brought the child to Jerusalem when the days of Mary’s purification were accomplished (Lk. 2:22). Lev. 12:1-4 indicates that this occurred at the end of forty days. Hence, they remained Bethlehem forty days, brought Jesus to Jerusalem to perform the rites required by law, then returned home to Nazareth. Matthew says Herod sent the Magi to Bethlehem, but that the star suddenly reappeared and led them to where the child was (Matt. 2:8-10). Bethlehem is only five miles from Jerusalem. If they were informed by Herod and the scribes and chief priests that Christ was to be born in Bethlehem and he was still there as affirmed by Martin, they would not have required the star to lead them to where the child was. Instead, we believe the Magi followed the star to Nazareth. That the star disappeared and reappeared as necessary to direct the Magi to Christ is evidence that this was not a normal astronomical manifestation. Further, that the Magi received divine warning from God not to return to Herod (Matt. 2:12), suggests that they were not led to Jerusalem by their own wisdom and learning of the stars, but by prophetic revelation from God, who used the star to guide them, but divinely informed them of its significance. How else could they know the star signified the king of the Jews was born? In any event, there is simply no way to place the holy family in Bethlehem at the time affirmed by Martin. And Martin knows this. He cites the relevant section of Luke, and specifically states that Jesus was presented at the temple forty days after his birth, but omits to mention that the holy family then returned to Nazareth. Why? Why does Martin find is necessary to omit crucial facts if he is attempting to reconstruct Biblical chronology fairly and accurately? The answer is that the facts don’t fit his theory, so he simply omits them. A serious charge, but one we think is the inevitable verdict of any objective study of Martin’s book. Yet another example is Martin’s treatment of Tiberius’ reign. Luke states that Jesus was still twenty-nine when baptized in the fifteenth year of Tiberius (Lk. 3:1, 23). The phrase used by Luke is “began to be about thirty.” That is, Jesus was on the threshold of this thirtieth birthday, but it had not yet arrived. The like phrase occurs in Matt. 28:1 when Mary Magdalene went to the tomb early “as it began to dawn toward the first day of the week.” The phrase clearly signifies that it was not yet dawn, but shortly would be. So, with Christ; he was not yet thirty, but shortly would be. Thus, if we would know when Christ was born, we need only identify when he was baptized (more on this later). By all normal reckoning, the fifteenth of Tiberius would mean Jesus was born in 2 BC, and that his thirtieth birthday occurred sometime shortly after his baptism before December 31st of AD 29. Yet, because Martin wants to place Jesus’ birth in 3 BC he asks us to believe that Luke reckons according to “eastern” methods for regnal years. According to this method, the whole year remaining to the deceased king are awarded to the in-coming king, so that a whole year is gained even though he reigned only a few calendar months. Martin also asks us to believe Luke then numbered Tiberius’ reign from Tishri 1 to Tirshri 1 (Sept./Oct. ), rather than the Roman January 1 to Dec. 31st. This is precisely what Martin does with Tiberius’ reign so that he can place Jesus’ birth in 3 BC, rather than the 2 BC otherwise required by Luke’s statement. (Notice also that the regnal years of Herod are dated from Nisan, not Tishri as Martin alleges Luke did for Tiberius. An interesting contradiction of Martin’s theory if ever there was one!) Martin agrees that Josephus did not use inclusive reckoning for Herod, yet would ask us to believe Luke used inclusive reckoning for Tiberius. To accommodate the eclipse of 4 B.C., scholars have been forced to count Josephus’ years inclusively. This means they are willing to allow a mere two or three days of Nisan in 4 B.C.E. (when the Jewish ecclesiastical year began) to be counted as a whole year in the reckoning of Josephus. Filmer, however, has given good evidence to show that Josephus did not count his years in this inclusive manner. This is also shown by Ormund Edwards in his New Chronology of the Gospels (pp. 27–33). Furthermore, Filmer also showed reasons that the capture of Jerusalem by Herod was not in 37 B.C.E., but in 36 B.C.E. and I have demonstrated in Appendix Four of this book that the Sabbatical Year at that time in which Jerusalem was captured was truly in 36 B.C.E....Filmer’s suggestion is absolutely correct. “These disparities have allowed scholars in the past to accept the eclipse of 13 March, 4 B.C.E. (as untenable as it is!). They felt justified in stretching the historical records almost beyond recognition to make them fit their chronological interpretations. While they were well aware that their assumptions had considerable difficulties associated with them, they did not think it necessary to tell the public in most of their general works or encyclopaedias that there were major “problems” in accepting these appraisals. But the public has a right to know the facts involving the historical circumstances concerning this important period of time. If scholars would simply state that their appraisals are mere possibilities among other explanations, then their guessing might be acceptable as conjectures to explain the difficulties. But more often than not, this is the time when scholars express their blatant dogmatisms. It gives us no pleasure to point out these discrepancies in Martin’s methodology. But as Martin has seen fit to point it out in others, he must allow us to do the same with him. Martin argues that Jesus’ was born Sept. 11th. He bases this upon his reconstruction of the date John the Baptist’s father would have fulfilled his ministration and his interpretation of John’s vision in Revelation 12:1-5 (more on this below). However, here again Martin ignores the obvious in favor of the obscure. As already noted, Luke states Jesus was not yet thirty years old when baptized by John. Yet, in saying that “he began to be about thirty” (Lk. 3:23), Luke indicates that Jesus’ thirtieth birthday was close at hand. This is to be expected. It is commonly recognized the Jewish men began their public ministries at thirty (Num. 4:3, 23). Martin acknowledges this fact. Since he would have turned thirty before beginning active public teaching, the most obvious way to get an idea when Christ was born is to simply identify when he was baptized. Here there can be small dispute: Jesus’ ministry is almost universally agreed to have been three and a half years long, beginning with his baptism and ending with his death Nisan 15, AD 33. Thus, by reckoning backward from his crucifixion, we can identify when Jesus was baptized, and from there the probable date of his birth. Three and a half years backward from Nisan (April) 15, AD 33 brings us to October 15, AD 29. In a leap year, Passover would occur thirty days later, or in May, placing Jesus’ baptism November 15, AD 29. Even if we could crowd Passover into March in AD 33, this would place his baptism at Sept. 15 and his birthday sometime after that. Hence, there is no factual scenario that can place Jesus’ birth at Sept. 11th, as urged by Martin. The better view is that Jesus’ birthday was timed to occur at or near the end of his forty-day wilderness fast. This fast was undertaken in preparation for his public ministry. The very first thing Luke tells us Jesus did at the conclusion of his fast was to begin public teaching (Lk. 4:13-15). As shown by R. A. Parker and W. H. Dubberstein, AD 32 was in fact a leap year. Hence, Passover in AD 33 would have occurred in May, placing Jesus’ baptism at November (Heshvan) 15, AD 29. Nov. 15 + 40 days = December 25th. That the date of Dec. 25th should emerge from the equation will naturally be met with astonishment, and typically evokes a skeptical and dismissive response. Yet, there it is. The date emerges all by itself without any assistance from us or stretching of facts. Moreover, it is fully corroborated by a correct reconstruction of the priestly courses. In chapter five of his book, Martin argues that “John the Baptist was probably born some time around March 10, 3 B.C.E.” He bases this upon the priestly courses established by David. 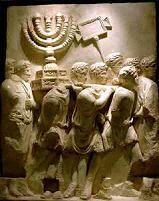 David instituted twenty-four courses of priests to serve twice annually in the temple (I Chron. 23, 24). The course to which Zechariah, John’s father, belonged was the course of Abijah (Lk. 1:5). The priestly courses came in and went out on the Sabbaths (2 Chronicles 23:8; 2 Kings 11:5). The course of Jehoiarib was the first; the course of Abijah was eighth (I Chron. 24:7, 10). Martin makes some very serious mistakes regarding the priestly cycles. Martin states, “Luke said he was officiating in his regular office (the eighth course, or the eighth week) when the angel said his wife Elizabeth was to have a child.” This is simply false. Martin needs Zechariah to serve in the eighth week in order for his theory to work out, so he puts these words in Luke’s mouth, but Luke neither said nor implied any such thing. We invite the reader to check Luke for himself. The fact is Zechariah may have been serving either in his first annual ministration or the second; Luke does not say. This is simply another case where Martin bends the facts to fit his theory. Another error that demonstrates the sloppiness of Martin’s work is his statements that the other tribes served one month each in the temple, beginning each year in Nisan. Obviously, this is a form of civil service to the king and state. Twenty-four thousand men could not possibly serve in the temple at the same time together with the priests; their number would be too great. Second, the passage does not say the first month of this civil service to the king was reckoned from Nisan; Martin says that. The text simply states that each course served its month beginning with the first course for the first month, and so forth. The month they entered service is not specified. The better view is that both the priests and civil servants entered their courses in Tishri. Hence, Martin is incorrect in reckoning the priestly courses from Nisan and therefore his dating of John the Baptist’s and Christ’s birth are both invalid. Were the Priestly Courses Suspended Thrice a Year? Another error Martin falls into is the assumption that there were fifty-one weeks in the annual priestly cycle, and that the extra weeks over and above the forty-eight were filled by the three major festivals each year, which he alleges caused a suspension of the ministrations. “In a period of forty-eight weeks, each course would have served for two weeks ― with each session being separated from the other by about six months. There are just over fifty-two weeks in each Solar Year. The Jewish calendar, on the other hand, is a Lunar-Solar one. In ordinary years it only has about fifty-one weeks. At particular intervals the Jewish authorities had to add an extra month of thirty days to keep it in season with the motions of the Sun. In a nineteen-year period, seven extra months were usually added. But, as said before, all normal years with the Jews had about fifty-one weeks. The priests served in their courses for forty-eight of those weeks. This means that there were three weeks in the year which were not reckoned in the accounting. What happened with those three weeks? David provided the answer back in his day. Since there were three major holy seasons on the Jewish calendar (Passover, Pentecost and Tabernacles), and since at those times there were great crowds at Jerusalem, David ordained that all twenty-four courses were to serve together for the week of Passover, the week when Pentecost occurred, and the week of Tabernacles. “For all the priests that were present [at Tabernacles] did not then wait by course” (2 Chronicles 5:11). Here we have Martin’s explanation of the priestly courses. We see that he affirms fifty-one weeks were typical of the priestly administrative year, and that the extra three weeks over and above the forty-eight were filled by the three main festivals of Passover, Pentecost, and Tabernacles. However, Martin is wrong. Had he taken time to lay out tables of the priestly courses, he would have immediately seen that, in a cycle of twenty-four years, approximately every third year has only fifty weeks. This is due to the variation with which the annual courses began and ended. Rarely would the annual cycle begin on Tishri 1; most years “borrowed” a certain number of days from the last month of the proceeding year. This is because the priests entered on the Sabbath, and not the first of the month. Hence, as many as six days remaining to Elul (the last month of the preceding year’s cycle) could go over to next year, causing about every third year to have only fifty weeks. (See the chart of the priestly cycle for the years 23 BC- AD 70 on our web site http://www.dec25th.info). Thus, inasmuch as approximately every third year had only fifty weeks in the priestly cycle, Martin’s theory about the three extra weeks does not pan out. Besides, Passover was only one day, a time when the number of lambs slain was so many that the extra priests were required to fulfill the ministration. But this would not require that all priests serve the whole week, or that the normal progression of courses be suspended for this feast or any of the others mentioned. The passage Martin cites (II Chron. 5:11) is inapposite. The occasion there described was the dedication of Solomon’s temple when the solemnity of the occasion and number of offerings was super extraordinary and therefore required the presence of additional priests (I Chron. 7:4-7). Moreover, the passage relied upon by Martin does not teach that the courses were suspended; it merely states that of those additional priests present, all were sanctified to do the work of dedication and therefore did not fulfill their ministrations by course. We agree that additional priests served at the great feasts; we deny there is proof they served for a full week or that the normal progression of courses was then suspended. This issue standing alone may be of small consequence in terms of dating Christ’s birth, but it goes to the overall lack of carefulness behind many of Martin’s conclusions. The more of these discrepancies that accumulate, the less credibility his overall hypothesis retains. Stations of the Priestly Courses: Static or Progressive? Another error Martin advances related to the priestly courses – one that bears directly upon the date of Christ’s birth - is his assumption that the courses were static and served the same weeks year by year, rather than advancing through the cycle of weeks over a twenty-four year period. Naturally, Martin wants the courses to remain static, since he has to have Zechariah’s course at the eighth week in any given year in order for Christ to be born in September, six months after John. But there is good reason to conclude this was not so: 1) Testimony from traditional Jewish sources that the courses advanced annually through the whole calendar; 2) testimony from traditional Jewish sources that the course of Jehoiarib was serving the week of Ab 9-15 when the temple was destroyed in AD 70; 3) the general inequity inherent in a static system that would require the extra weeks always to be made up by the first two or three courses. Traditional Jewish sources show that the there was an annual progression of the priestly courses. A saying of Rabbi Abbahu recorded in the Jerusalem Tulmud (y. Sukka 5:7, 8) that shows the priestly courses were not static. The saying involves a piece of arable ground that was traditionally assigned to the priestly course serving at Jubilee. Abbahu notes that over time the land devolved upon each of the twenty-four courses, a situation that could occur where the courses were static. Moreover, Rabbi Yose ben Halafta, in Seder Olam Rabbah (30:86-97), reports the course of Jehoiarib was serving the ninth of Ab, AD 70, when the temple was destroyed. He affirms the same date and course was serving when Nebuchadnezzar destroyed the temple almost 700 years before. This shows not only that the courses advanced and were not static (Jehoiarib could not be on service the ninth of Ab if they were), but that there was a twenty-four year cycle that repeated itself so that the courses arrived at the same position again upon repetition of the cycle. Halafta was active 80 years after the destruction of Jerusalem, and therefore is an important witness. He is confirmed in part by Josephus. Alfred Edersheim, a Jew who converted to Christianity and whose books are still in print a hundred years later, agrees. Counting backward from the destruction of Jerusalem, he places the course of Abijah in the year 5 BC (748 A.U.C) (where he supposed John was conceived) in the month of Tishri. It is impossible for the course of Abijah to arrive at Tishri in either of its annual ministrations under a static system, regardless if we reckon from Tishri or Nisan. Hence, Edersheim weighs-in in favor of the progression of the courses. In addition to these important witnesses, there is the general inequity of a static system that would impose upon certain courses the burden of fulfilling the extra weeks of the annual ministration each year. There were only twenty-four courses, which served twice annually. But there were fifty to fifty-one weeks in normal years. We have already shown that these extra weeks cannot be accounted for by the three great festivals. Therefore, it must have fallen to the first two or three courses to serve a third time over and above their normal ministrations. This presents no problem where the courses advance each year through a cycle of twenty-four years, so that the burden is equally shared by all. But where the courses are static, there would be no relief from this burden and the system therefore unfair in its distribution of labor. Our website contains a table for the twenty-four year period for the years 23 BC – AD 70. We have colorized the chart to help demonstrate how they advanced. By consulting it, it will be seen that over a period of twenty-four years, each course would have served at all or most of the stations, resulting in an equitable distribution of labor. These prove, conclusively we think, the approximate dates of John the Baptist’s birth, and that of Christ’s six months later. By consulting these it will be seen that Christ was born the week of Dec. 25th (see below). The number of steps from the first station of Jehoiarib’s second course to Ab 9-15 is twenty-one stations. Thus, AD 70 was the twenty-first year in the twenty-four year cycle. To return to the beginning of the cycle we subtract twenty years from AD 70, which brings us to AD 50. Subtracting twenty-four more years brings us to AD 26; this course would thus consist of the years AD 26-49. Twenty-four more years brings us to AD 2; this course would thus consist of the years AD 2-25. 24 years more bring us to 23 BC (there was no year zero). This course would have consisted of the years 23 BC to 1 AD. Counting forward from 23 BC to 3 BC when John was conceived according to Luke’s chronology shows that the course of Abijah would have been serving at its twenty-first station when Gabriel appeared to Zechariah (23 BC to 3 BC = 21, inclusive). Assuming Zechariah’s course was in its second ministration, this would mean he was on duty the week of Elul 27-Tishri 4. Based on statements in Luke, John was a little less than six months older than our Lord (Lk. 1:36). Normal human gestation is 38 weeks. 38 weeks from Zechariah’s ministration would place John's birth the week of Sivan 28-Tammuz 4. There were less than 25 full weeks remaining to the Julian year from John’s birth. 24 weeks from Sivan 28-Tammuz 4 brings us to the week of Casleu 19-25, which answers to the week of December 25th. Of course, it cannot be proved that Zechariah was serving in his second course when Gabriel appeared to him. However, there is a 50% chance he was. When we then consider that the week of Jesus’ birth based upon this assumption turns out to be the week of Dec. 25th, and that this same date is produced by Luke’s chronology of Jesus’ baptism and forty day fast, the evidence in favor of accepting this conclusion becomes very strong. When coupled with the fact that this is the date handed down from the church fathers, the coincidence becomes very great, indeed! Whether it is merely a coincidence, or evidence of the very fact itself, heaven alone can say for sure. Obviously, we incline to the latter. A key aspect to Martin’s book is his interpretation of Rev. 12:1-5. This chapter opens with John describing a vision of the heavens, in which he sees a “sign”: a woman clothed with the sun, the moon beneath her feet, crowned with twelve stars, crying out in anguish to be delivered of her child. A dragon stands poised to devour the child as soon as it is born. Its tail draws a third of the stars of heaven and casts them to the earth. The child is described as one destined to be caught up to God’s throne, where he will rule the nations with a rod of iron. Of course, at the critical moment that the moon is allegedly in position (below) the sun has set, so it difficult to see how Martin can argue for the literalness of the vision. Even so, Draco and Virgo are both constellations and it seems that John is at least potentially evoking this imagery (Martin does not deal with Draco at all). However, the point of John’s imagery is not to date the birth of Christ, but to portray in symbolism a spiritual battle that was occurring in the heavenly places. Stars and constellations are among the ruling orbs and signify earth’s higher powers. The woman represents the people of God, the Virgin of Zion, or the Old Testament church (the Jews). The sun, moon, and twelve stars evoke Joseph’s dream (Gen. 37:9) where they stood for Jacob, Rachel, and his twelve sons (the constellation Virgo does not have a crown of stars and shows the imagery is not to be taken literally). Being clothed with the sun points to the fact that the woman is heaven’s bride, and adorned accordingly. In terms of the covenant and promised redemption, she is clothed with the patriarchs as the elect of God. Use of a woman to depict the people of God hales from the garden and God’s promise that the woman’s Seed would bruise the head of the serpent. The dragon is Leviathan, the world civil power held by the Gentile nations beginning with Egypt, Assyria, Babylon, on down to Rome. The seven heads and ten horns of the dragon (which do not occur in the constellation Draco) symbolize the political powers of the Roman Empire. The woman is oppressed by her worldly and spiritual enemies, including sin and death. Her salvation was in the promised Seed (Christ), which she groaned and travailed in birth to bring forth. Her Seed would rule the nations with a rod of iron; the dominion held by the Gentiles would thus devolve upon Christ, who would rule from the right hand of God in heaven. But the enemies of righteousness would not yield world dominion without a fight. The dragon stood poised to destroy Christ when he was born. Herod, a client king of Rome, tried to destroy Christ by the Slaughter of the Innocents. However, Christ escaped beyond Herod’s jurisdiction to Egypt and would ultimately be caught up to the throne of God. The battle of Michael and his angels (Christ and the disciples) against the dragon and his angels (Rome and the Jews) (Rev. 12:7-9) is probably best understood as the earthly ministry of Christ, who defeats the dragon by obedience unto death of the cross, crushing the power of sin and death (e.g., bruises the serpent’s head) by his resurrection and ascension. At his ascension, Christ received the coronation as king over earth’s people. The dragon, seeing he was defeated, persecuted the mother church in Palestine in the persecution that arose over Stephen, which occurred under Pilate, Caiaphas, and Saul (Paul). This persecution lasted three and half years (forty-two months), ending with Paul’s conversion (Acts 9:31). During the persecution, the church was scattered and the gospel went out to the Gentiles, portrayed by the woman being sustained in the “wilderness” for three and a half years (Rev. 12:14; Acts 8:4). With the collapse of the persecution, a time of relative political stability followed, but broke out again in the persecution under Nero, portrayed in Rev. 13 and following. This is the message of Revelation twelve: it is spiritual, and, to a certain extent, political, not astronomical. Ignoring the fact that the imagery does not conform to the actual constellations themselves; e.g., the woman has no crown and Draco does not have 7 heads and 10 hornss, John may use the constellations to build the symbolism of his message, but not to date Christ’s birth. Jesus’ thirtieth birthday following his autumn (probably November) baptism makes the September birth posited by Martin impossible. Martin makes many unsubstantiated and exaggerated claims. He has not shown that the astronomical events that are the focus of his book actually occurred, or if they did, that anyone, including the Magi, witnessed them or interpreted them as he supposes. He has not produced a single witness from a period source corroborating his claims. More importantly, he contradicts the Bible in several important points, especially the year of Christ’s birth as announced by Luke. As such, the theories of his book relating to the so-called star of Bethlehem should be rejected.